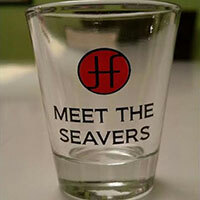 Like absinthe in a baby bottle, the music of Meet The Seavers is unexpected. A potent concoction of swing – musical – theater wrapped around a clever lyric, one is given the impression that they are hearing something Tom Waits wrote for Sinatra and Nina Simone. The cigar smoking, interracial couple from East Nashville are more than an oddity: They don’t fit in. 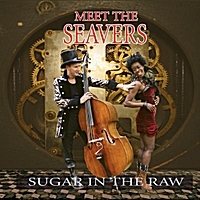 In addition to the music, Meet The Seavers also have their own public access television program of the same name, that serves as a curator to Nashville’s most eclectic, non-country music acts. The show is a mix between the 70’s television influences; a bit of Carol Burnett’s comedic graces, a bit of Lawrence Welk’s flamboyant aesthetics, and the old radio varietals that makes for a program that’s like a forgotten floor show. Dorothy, an accomplished model, actress (and now award-winning bikini body-builder) comes from a small town in Mississippi where railroad tracks historically separated the white side of town from the black side. Growing up, Dorothy was an overall wearing Tomboy who lettered in basketball and track. At the same time, she was the Prom Queen at her high school and graduated second in her class. Jace was born Eleven minutes after Eleven on November 11th. His parents chose his first name after a character in a Saturday morning cartoon. His last name was changed from Johnson to Seavers when he was adopted after his father’s suicide. Jace grew up on the eastern shore of Wisconsin in the small town of Manitowoc. He moved to Chicago in the early 80’s and joined a 500 member commune which helped feed several hundred homeless people daily. A local musician, noticing Jace’s disproportionally large hands suggested that they would be perfect for Bass playing. Within a year, Jace was playing bass for a 40 voice black gospel choir. Jace also began writing his own music and lyrics during this time, and wrote Atheist lyrics for an independent Christian label. 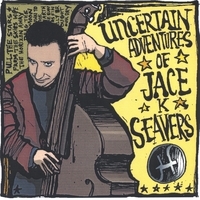 Seeking a more fertile ground for his music, Jace moved to Nashville in the early 90’s and performed regularly in a Jazz-Poetry ensemble before starting his own group. Even though they were both rejected by the dating website E Harmony, (who could not find either of them a match) they still managed to find each other and fall in love. Jace, recognizing Dorothy’s talent and presence onstage, encouraged her to pursue singing through a vocal coach. The two soon began performing with only upright bass and vocals at Nashville songwriter venues. “People didn’t know what to think of us. Rooms became really quiet when we played. We didn’t fit in. We weren’t Country, Jazz, Americana or Pop, but we were having so much fun together we kept at it.” Says Dorothy. When the duo plays larger venues, they are fully able to bring their “alchemy of sound” to life with the addition of some of Nashville’s finest musicians accompanying them on keyboards, drums, and horns. Dorothy playing the occasional Theremin. 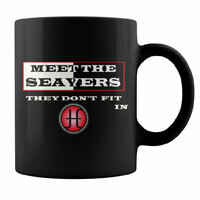 Meet The Seavers have played venues and festivals all over the region such as the East Nashville Tomato Fest, Franklin Main Street Festival, the Nashville Downtown Partnership First Saturday Art Crawl and the Lower Town Arts and Music Festival in Paducah KY. They have performed at local venues that include The Frist Center For The Arts, countless clubs, restaurants, wineries, private events and even a Supermarket or two. 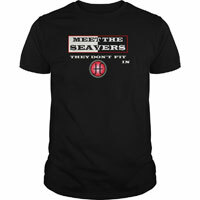 Meet The Seavers brings their special brand of performance to each show and are dressed to play the part. They come to entertain, not just sing songs. They don’t fit in, but they hope that you’ll find room for them anyways. Time: 4:00pm. Age restrictions: All Ages. Address: Downtown Paducah. Playing the Harrison Songwriter Stage. Time: 7:30pm. Age restrictions: No Minors. Address: 2006 N GLOSTER STREET. Venue phone: 662.269.2642. Time: 8:00pm. Age restrictions: All Ages. Address: 2105 UNIVERSITY AVE. Venue phone: (920) 857-3984. Time: 7:00pm. Age restrictions: All Ages. Address: 307 North Broadway. Venue phone: 920-432-2300.